At various international airports, I’ve spotted Iwai Traditional and its cousin Mars Maltage “Cosmo” a few times… And not to scoff at reasonably priced blends, it just never quite made it into the final “cut” to come into Mumbai, India. We expected a pleasant appetizer whisky like Akashi Red Blended Whisky which we had dubbed the “apple cider” whisky. Yet somehow that had no pretence of being more and hence was somehow more enjoyable in its uncomplicated way. The Mars Hombo company is not new to the spirits industry and added whisky to their repertoire in 1949. In 1985, they opened their Shinshu distillery – producing whisky under the Mars label. This distillery at Shinshu, Kuyshu Island, Nagano Prefecture is thought to be the highest in Japan (even more so than Hakushu). More recently, the company is opening a new distillery in Kagoshima, Tsunuki. What else did we sample in our “Contributor’s Choice” evening? Interested in reading about more Japanese whiskies tasting notes? Check out the Asia Whiskies page. 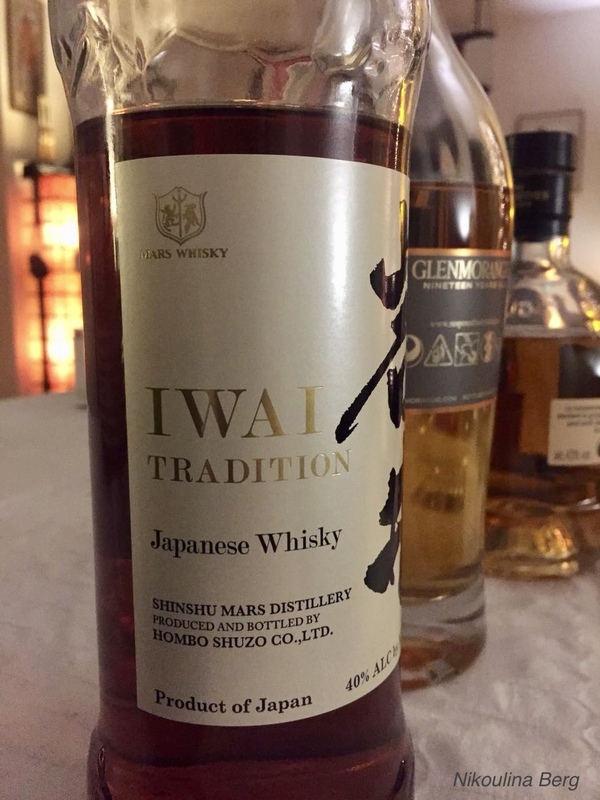 This entry was posted in Beyond Scotland, Blends, Japan and tagged Blend, Mars Iwai, Mars Iwai Blended Whisky by Carissa Hickling. Bookmark the permalink.